NESTA is an international association with a world-class faculty with over 65,000 members from around the world. Approximately 20% of all our members are from outside the U.S.
NESTA members and certified coaches/trainers have thriving careers in over 65 countries. We welcome students from around the world. NESTA is a current member of ICE (the governing body of the NCCA). VA approved and offers special rates to our troops and veterans. Click here for more info. NESTA is a registered vendor for the U.S. Navy Credentialing Opportunities On-Line program. 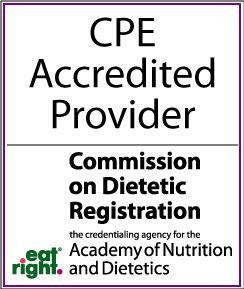 The CDR (Commission on Dietetic Registration) has approved NESTA’s Personal Fitness Trainer (PFT) Certification program as a CDR-approved certification. Registered Dietitians and Registered Dietetic Technicians may complete the NESTA PFT certification for 75 CPEUs. NESTA complies with the Ethics & Safety Compliance Standards as set forth by the (IAFCA) International Association of Fitness Certifying Agencies. ESCS initiative’s goal is to involve nationally recognized certifying agencies and certified trainer compliance requirements through the International Association of Fitness Certifying Agencies (IAFCA). NESTA is a Corporate Member of IDEA -The World’s Largest Association of Fitness Professionals. We are a corporate member of IHRSA (International Health, Racquet & Sportsclub Association). IHRSA helps set standards for the fitness industry. NESTA is an approved affiliate of the (NBFE) National Board of Fitness Examiners. NASM has approved the following programs for 1.9 CEUs each: MMA Conditioning Coach Certification, Triathlon Coach Certification, and Heart Rate Performance Specialist. ISSA (International Sports Science Association) has approved the following all programs. Refer to each program CEU details.